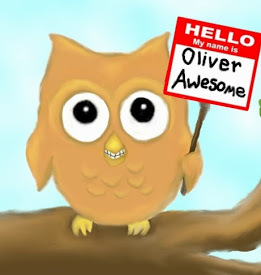 Welcome to our feedback reveal for Pass Or Pages. In this contest, randomly chosen entries were critiqued by our agent panel. We hope it will give everyone a sense of what is going on in an agent's head as they read queries and first pages. We're so grateful to the members of the agent panel who gave their time to provide feedback on these entries. We'd also like to thank the entrants. It's hard to put yourself out there. Thanks for being brave! When 14-year-old Vanessa Montgomery’s best friend abruptly drops her and manipulates the rest of their peer group to follow, Vanessa [CP1] is paralyzed by anxiety and turns to restrictive eating for a sense of control. [CP2] Dangerously underweight [WA1] after a hellish semester of brutal social isolation, Vanessa transfers to a new high school to save herself and start over. [CP2] This sounds too technical. Instead, I would show more of her emotions/reactions here. For instance, "With no idea why it happened and now paranoid that everything else in her life could go the same way, only one thing seems left under her control: her eating. With her only sense of power coming from restricting her meal portions, after a hellish semester of isolation..."
[CP3] Is it her past haunting her, or being unable to let go of her paranoia and the disease she has developed? [CP4] Is she not still drastically underweight? [CP5] I would say the most serious part of what Vanessa is going through is her battling her psychological demons and overcoming her anorexia. The idea of staying an outsider doesn't seem to compare, and makes the focus of the story much different from what I anticipated. [PK1] Not sure we need this in quotes, just say, "in an effort to get back to her old self." [PK2] A little unclear to me what this is referring to -- is it referring to being dropped by her friends and her eating disorder, or did some third thing happen that will be revealed to the reader later in the story? [PK3] I'm not sure there's anything in this pitch that make this feel like a story I haven't read before. A low, thin layer of fog hangs overhead, and the air is misty: typical weather for a northwest Washington morning, even in the summertime. It’s not particularly cold outside, but I still can’t help but shiver. The doctor says that’s one of the side effects of being underweight: I’m constantly cold. I take a deep breath and look around, catching a glimpse of my reflection in the window. The girl I see is perfectly normal-looking, with long blonde hair that reaches almost to her waist. [CP1] Can you show this instead of just telling? [CP] The writing in the sample is very good, but after the issues I had with the query I'm not 100% sure how the story is going to unfold. I'd be willing to take a look at a synopsis and the first 50 pages of it to see, though! Please email them to me at carrie (at) prospectagency (dot) com, with the subject OPERATION AWESOME and the query pasted in the body of the email. Thanks! [PK1] PASS. The interior narration is reading a bit forced -- it doesn't feel like you are subtly showing us Vanessa's anxiety but instead force-feeding it to us through interior narration. Use her actions and the scene to give more nuance to her anxiety so that we feel it alongside her. [WA1] Reflection to intro MC's appearance is overly common. I'd cut it at "I'm constantly cold" and move on into the action of the scene, if that is what indeed comes next. WE BURN TOO BRIGHT is a YA contemporary novel told from Wella’s perspective and interspersed with letters from Finn; it is complete at 99,000 words. [CP1] Does he threaten her in some way or just hold a knife to her throat? [CP2] This description seems slightly melodramatic. If the experience left her with PTSD or another deep-scarring issue, let us know, otherwise I'm not sure why she isn't just upset/angry/confused. [CP3] This suddenly brings a fantasy element to the story that I wasn't expecting. I would find a way to say upfront that this is YA fantasy instead of leaving it to the end. [CP4] Why would this be a sign her mental health is improving? [CP7] This part is intriguing! [PK1] Great tension -- but the imagery is a little unclear. Does he hold a knife to her throat and then disappears? Also, I'm not sure we need "proving all things can be destroyed." [PK2] "The truth is a black abyss she's not willing to explore, and to protect herself from wading too deep into its murky shadows" -- you can delete this and get to the next bit faster -- queries need to be concise, and this doesn't really add much that we didn't get from the previous sentence. [PK3] Lots of imagery in this paragraph, but the actual details of the story feel a little too abstract. Give us more of a concrete sense of what happens. [WA1] Doesn't need Finn? Her father/therapist? Not clear. [WA2] Wait, I thought this was a contemporary, not a fantasy. Between the personified darkness and this character, this isn't reading like a realistic contemporary. Drowning is often quick and unspectacular. [CP1] I'm not sure what this means. [CP2] This is also a bit confusing to read. [CP3] What are Juniper's granite waves? [CP4] This paragraph is great! [CP] There are moments of good writing here, but in general, there needs to be more clarification and focus in the query and sample. It's hard to really understand what this story will be about or get more than a vague idea of the premise, which makes it hard for me to know whether or not I'm interested. PASS. [PK1] Love these first two sentences -- great, immediate tension and I immediately wanted to know more. [PK2] I think you are trying to force too much up front -- you have to ground us in the scene... in the here-and-now... much faster so that we can get our bearings. PASS. This sounds intriguing, but the opening didn't quite grab me enough and the query felt a little over-written. [WA1] I love this bit, but the effect falls apart right after. There's just too much descriptive language right at the beginning, which makes it heavy and hard to really get into. Sierra Johnson is a nervous wreck, but only because she’s an introvert itching to impress anyone who will give her praise. Her two-parent middle-class household in urban Michigan is cushier than most of her classmates’, but her mixed-race background and panicky self-doubt make fitting in difficult. Afraid of facing rejection, [CP7] Kristi breaks out the biggest lie yet: her impending death from malaria. Sierra jumps into action, playing the role of supportive full-time girlfriend [PK3] and part-time caregiver. Kristi must maintain the sick patient act, and the lies surrounding it, or risk smothering the one person she needs most. [CP8] Sierra must decide what’s more important to her—sticking around to help her girlfriend through a life-threatening illness, or breaking free from a psychologically abusive relationship. [CP1] replace with "the truth"
[CP4] replace with "is showing"
[CP5] Can you give an example here? [CP6] How does she realize this? Does she become more confident in herself as the story goes on? [CP7] Is it just rejection, or does Kristi really love Sierra? [CP8] Being at risk of smothering her girlfriend doesn't seem like what's really at stake here. [PK1] The first sentence intrigued me, but then the rest of the paragraph was too vague, and so the result is this opening feels a little too abstract -- can you make it more concrete so we see how Kristi defies convention? [PK2] Did Sierra ever think they were right together? [PK3] Why is Sierra attracted to her in the first place? In the query it feels like they're forced together despite being such an odd match. Also, you begin the query with Kristi, which made me go into it feeling like she's one of our protagonists, but by the end she seems to be the antagonist -- it's a little unclear whose story this is. [WA2] I have a great sense of Kristi from this query, but not much of a sense of who's Sierra. And since the agency of the story seems to be with Sierra, we really need to grasp her as well. Kristi dragged her eyes back to the menu, skimming over page four without registering a single word, price, or picture. She had no doubt the waitress—Nicole, not like it mattered—was on her way over, pen and paper poised in her hands, gliding heel to toe as if afraid of dropping a tray of drinks. “Hi, folks. So good to see y’all again!” Nicole said with a Southern drawl, which had no place in suburban Michigan and was as fake as the makeup plastered to her face. [CP2] But from the previous sentence, it sounds like Kristi is fascinated by her. [CP] This is something that I could be interested in, since I love books that examine the unusual relationships. The query could use more detail so I get a fuller sense of what the story is about and how it stands out in the marketplace, though. PASS. The opening doesn't have enough tension to really hook me, and the query didn't wow me enough. PASS. [WA1] It's hard to tell from just 250 words, but I'm wondering why we're starting thinking about the diner menu Kristi has memorized instead of somewhere else. [CP1] I like the first two sentences of the opening, but after that, the query starts to be too gimmicky. 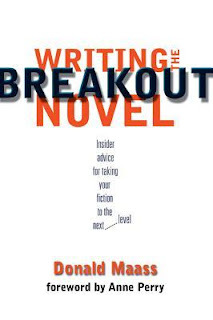 Instead, I suggest just outlining your story like you expect it to look on the dust jacket of your book. [CP2] Find a way to say this plainly. Although I was intrigued by the opening of the query, the rest of it wouldn't make me want to request additional pages. [PK1] Opening with a rhetorical question is a bit risky, and isn't working here. I read your question and immediately answered: no. I am not that. So immediately, you've put me at a remove from the story you're pitching. The imagery here is also a little overcrowded -- we're teen-shaped thorns, we're in the side of society, we have a trust fund the size of Texas. It's a lot going on in this one sentence. [PK2] We are over halfway through the query by the time we meet who I assume is our hero, along with Kyra. If Vance is our hero, lead with him -- I won't care about whatever story you're selling unless I care about the characters first. 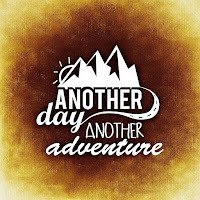 [PK3] So this is a story of two kids escaping a horrible reform school... get to that faster, and spend a little more time telling the story and delivering the setting through the POV of the characters. I would not have been intrigued enough by this query to read the sample pages. PASS. [WA1] I'm personally not a fan of queries written in the second person. It tends to put the focus on setting the scene instead of introducing the main character(s) and setting the stakes for them. As it stands, I don't have a good sense of the story or the characters. This large chunk of intro would do better as a single, introductory line before focusing on Vance. Also, you don't want your query to be one large paragraph -- break it up. [WA2] Based on the query alone, this would be a PASS. The voice and focus of the pitch don't feel in touch with the YA market or audience. This query feels like it's almost from Andreevy's POV, which isn't suited for YA. Keep it in the MC's head space -- I'm assuming that's Vance. The alarm wails through the PA system. One minute until all students [CP1] need to be lined up in the hall. Vance tucks his stained white t-shirt into his dirty jeans and does up his belt. “You’re going to be late.” Jackson, a dark kid with bright eyes, folds his arms and leans against the door. The metal frame of the cot groans against the concrete floor as Vance sits and laces his boots, ignoring his roommate. That’s all Jackson is now, a roommate. His yellow wristband shows the choice he made, just one step away from becoming a whiteband. He follows Jackson to the hall where students split into two groups. The compliant whitebands and yellowbands are lead to breakfast. Vance marches outside for manual labor with the blues and reds. Twelve-foot stone walls topped with razor wire surround the massive compound isolated in a valley between rolling hills and jagged mountains. [CP2] Distant clouds evaporate as does any hope of relief from the heat and humidity of the Bolivian summer. After hours of carrying heavy rocks from farm fields, Vance craves water. His heart thumps against his sternum. Flecks of gold burst in his vision as he heaves a rock into the trailer. The clatter of the rock is dulled by throbs in his ears. As he staggers back to the field, dehydration threatens to take him down. Two kids dropped already, likely sent to recuperation. They’ll be tied to beds, possibly for days. He doesn’t want to join them. [CP1] Are they really students if two groups seem to solely do manual labor? What kind of education do they receive? [CP2] This sentence is a little too long. [CP] This definitely has potential, but because I don't really understand what the premise or purpose of the story is, I'm left feeling unsure of whether it matches my interests or not. Pass. If you've been reading our blog since last fall, you know that I love celebrating National Novel Writing Month in November. 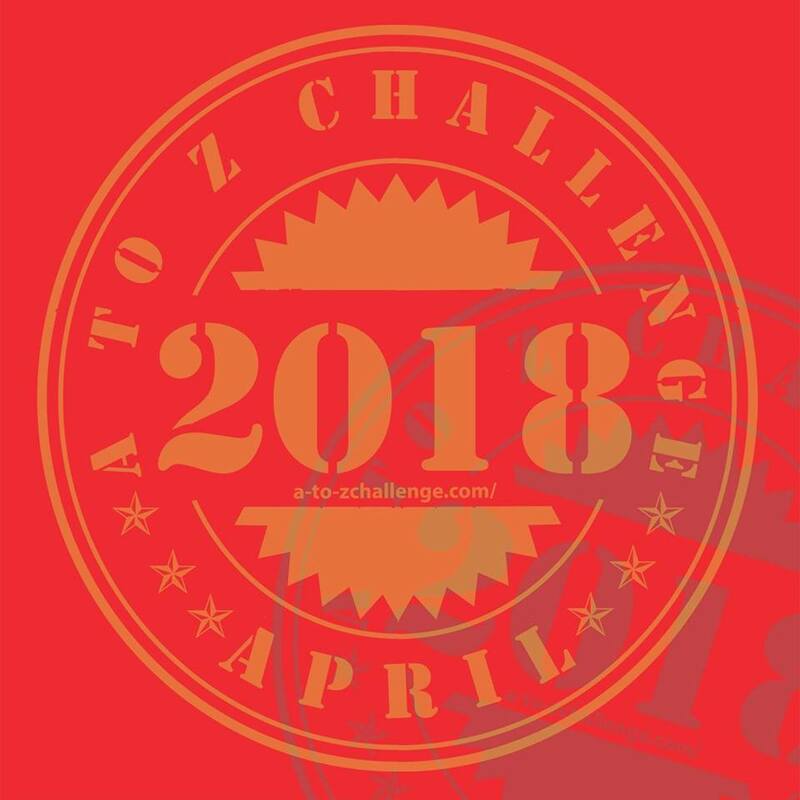 The official NaNoWriMo event runs from November 1st to November 30th, and the goal is to write 50,000 words of an original work of fiction during that time. It's definitely tough, and many people find it especially difficult to make their word goals the week of Thanksgiving in the US. But make it to 50K or not, the camaraderie is great. In April and July, the NaNo group hosts Camp NaNoWriMo, a writing event where you set your own word count goals. In keeping with the camp theme, you get organized into "cabins" of 11 people, where you can message each other throughout the month and cheer each other on. You can be sorted into a cabin and meet new writing friends, or set up a private cabin with people you already know. Last April, I set the goal of outlining a new WIP and writing the first 10,000 words. I was plodding along with that book, so in July I made my writing goal getting to 40,000 words. 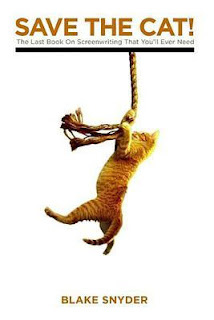 This time around, I have a complete MS that I need to finish first-round edits on. My goal is to get all 70,000 words edited by the end of April. I absolutely love the flexibility of Camp NaNoWriMo. If you enjoy the spirit of NaNoWriMo in November, I highly recommend giving Camp NaNo a try. 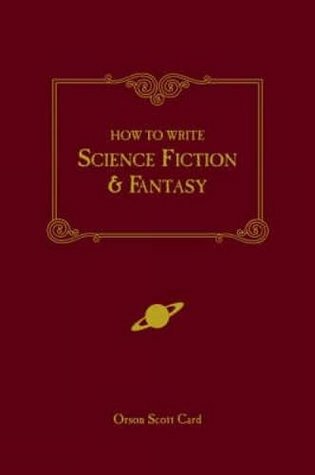 I'm trying to compile the best library I can for budding writers. I have a few budding writers in my home, not to mention me, still blooming over here. What else do I absolutely need in my writer's library? If you want to chat about it on twitter, talk to me at @katrinalantznov with hash tag #bestbooks. When it comes to my writing, I like to try new things. A new genre. A new voice. A new strategy. 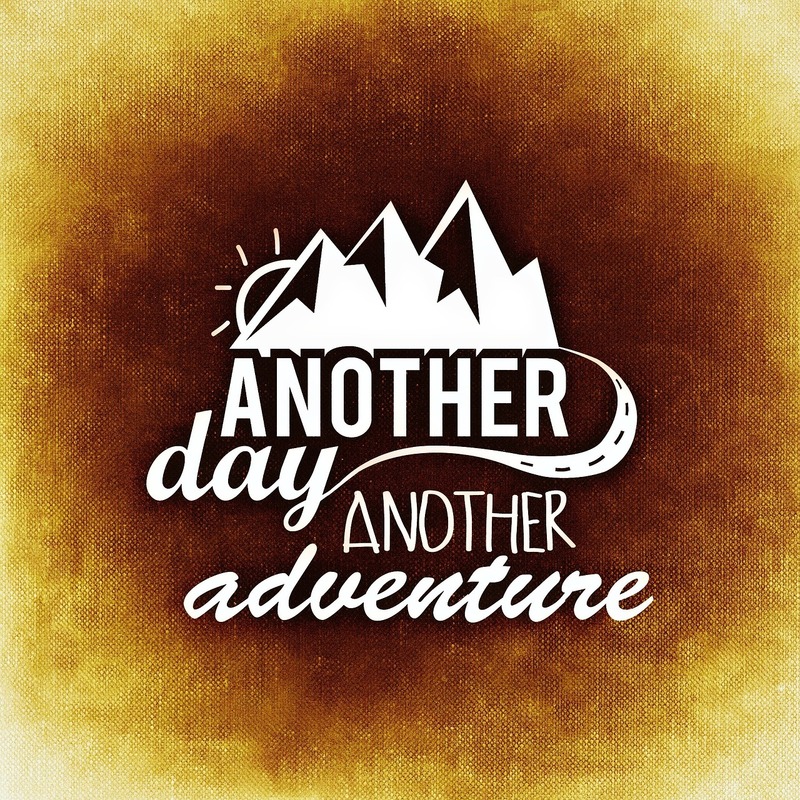 Writing has been an adventure, and I want to keep it that way. Christine and I write very types of books. I write mostly YA speculative fiction, and she writes adult western romances and historical fiction. The project we’ve committed to takes us both out of our comfort zones to do something different than either of us has done before. But, how do we do this? 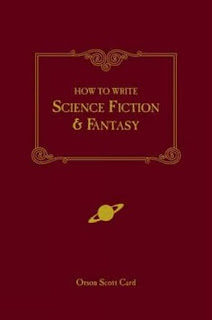 How do we co-write a book? I have no idea. We decided to just dive in and get started. One evening, we got together to do some plotting. Our supplies: poster paper, various coloured markers, and red wine. We brainstormed. We outlined characters and plotted and world built. We walked away that evening with a loose road map for our novel. I had an idea for an opening scene, so I sat down and wrote it, then sent the document off to Christine. She read, then picked up where I left off. I’m super excited about what we’ve written so far. Our word count sits at just over 5,000 and now we feel it’s time to meet together again and discuss the next few scenes. How will this all work out? We’re not sure yet. I plan to give OA readers updates as we go. It will be a learning experience for all of us. 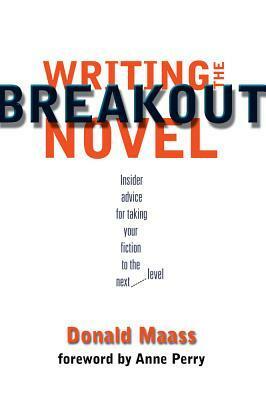 Have you co-written a book? Do you have any advice for first-timers like us? What kind of mischief happens to your characters when things get too quiet? When things are going well for them, how will you pull the metaphorical rug out from under their feet? If you need fresh eyes on your query letter or twitter pitch (especially if you are doing #DVPit next month! ), let me know in the comments! I'll select a few people for critiques. 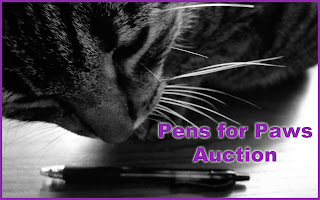 Pens for Paws is an online auction with writers, artists, and others from the publishing community. Items in the Pens for Paws Auction 2016 will go up May 2nd through 6th! Look for critiques from agents, editors, and your favorite authors, plus signed books, jewelry, and handicrafts. All proceeds go directly to support Fat Kitty City, a no-kill, cage-free, cat (and dog!) sanctuary in El Dorado Hills, California. And brace yourselves for a special offering: a package of books and critiques from Operation Awesome operatives! Be sure to follow the Pens for Paws Twitter account for updates and reminders during the auction. DON'T FORGET! Today's the last day to enter March's #PassOrPages. If you have a contemporary YA novel to query, enter HERE. 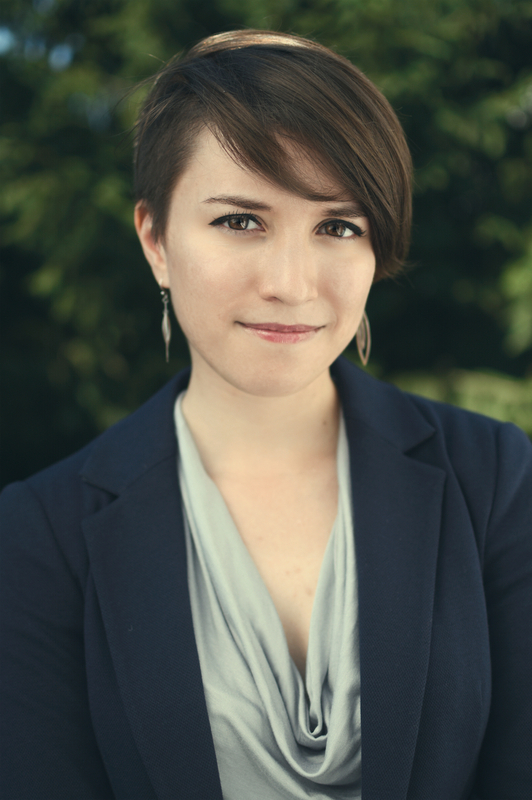 Today's Wednesday Debut Interview features Ava Jae, author of the debut YA sci-fi novel, BEYOND THE RED. Hi! I’m Ava, author of BEYOND THE RED, which just released on March 1st! I’m a college student (graduating sooooon), blogger, assistant editor, and YouTuber with a mild tea addiction. Congrats on your graduation!! Tell us about your book. What's your elevator pitch for BEYOND THE RED? 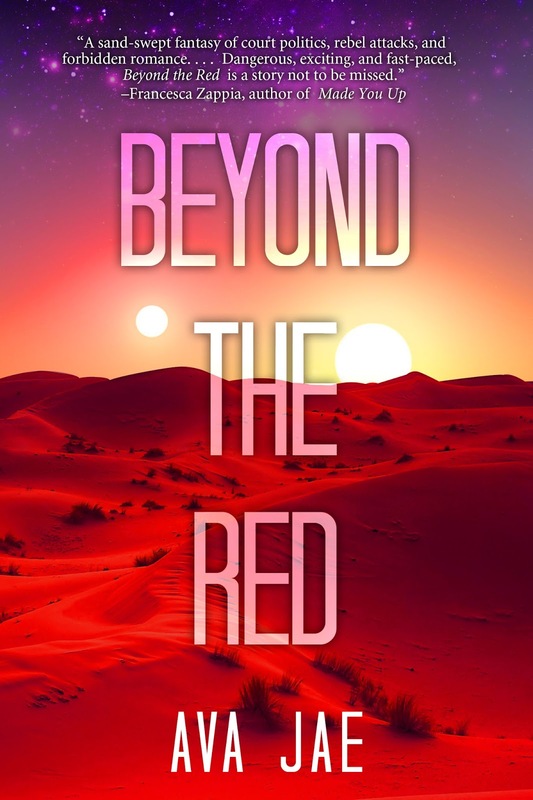 BEYOND THE RED is a YA Sci-Fi about a violent uprising on a distant, alien planet that threatens the reign of a teen alien queen—Kora. It’s also about Eros, a half-human, half-alien rebel soldier whose life collides with Kora’s when her people attack his and he’s taken captive. One of the most interesting things for me about science fiction is the worldbuilding. Tell us a bit about the alien world you created for this story? What kind of research did you have to do in order to make a believable world where humans and aliens coexist? Honestly, a lot of it was just paying attention to how we coexist and interact with different races and cultures—which is to say, not very well. The humans and Sepharon have a lot of animosity between them, and much of the way they treat each other is, unfortunately, not unheard of in our reality. I started the first draft of BEYOND THE RED in May 2014, officially signed with my agent in February 2015, sold RED to Sky Pony Press in October 2015 and just saw it published on March 1st of this year—so we’re looking at nearly two years from first draft to publication. However, BEYOND THE RED is actually the tenth manuscript I wrote, and it took me nearly eight years from first draft of my first manuscript to signing with my agent—and roughly ten years to RED’s publication. Honestly, after a while I just kind of got used to them. 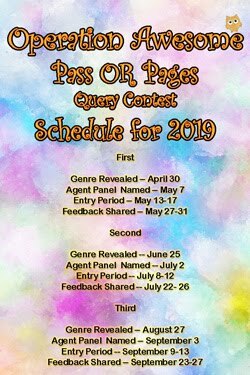 It was getting pretty discouraging by the time I started getting rejections while querying RED—it’d been my sixth time in the query trenches and I was starting to wonder if maybe the results would be the same as the first five times I queried. But I learned to distract myself with new projects and I frequently read testimonials from authors who took a long time to get published (Beth Revis was a major inspiration in that area—her debut was her eleventh novel, and now she’s a NYT Bestselling author! ), which helped me power through it. What makes Sky Pony Press and your editor(s) there a good fit for you and your book? Tell us about your cover. I love how it immediately tells the reader that this story is taking place on an alien world. What else did you want it to convey? Thank you! Conveying that the book doesn’t take place on Earth was definitely important to me—I also wanted to convey the vastness of the desert the book primarily takes place in, which I think the cover does an incredible job with. It’s basically exactly like I hoped it might be when I’d daydreamed about potential covers. Was BEYOND THE RED the original title you'd had in mind for this story? If not, tell us about how it came to be titled that. Ha ha ha ha ha nooope. RED’s original title was SLAVE & SIRA, which wasn’t a great title for various reasons. From there it took me a really long time to brainstorm new title ideas with my agent, her team, and my critique partners. Ultimately, it was a suggestion from one of my amazing critique partners who came up with the title that was tweaked into BEYOND THE RED—to this day I continue turn to her to help me choose an evocative title! Can you tell us about some of the things you been working on between signing a contract for BEYOND THE RED and its release? What about the post-book-deal process been most surprising for you? For a while I focused on a YA Fantasy I really love and hopefully will one day be able to share with everyone, now I’m working on a sekret thing I can’t talk about, but they’ve both been great distractions! As for most surprising, it’s been kind of interesting to see how very different the pre-pub process is depending on the publishing house. I sort of imagined the timeline and processes would be similar, but it can vary a lot. As for events, I’m preparing to head off really soon to the DC/VA/MD area for a mini book tour with some other debut authors and to speak at an SCBWI conference, all happening from 3/16-3/22, which should be fun! My biggest mistake with my publishing journey was putting a deadline on myself—I was thirteen when I decided I wanted to be an author, and for the longest time I put a *ton* of pressure on myself to be a teen author (spoiler: it didn’t happen). Putting so much pressure on that arbitrary deadline made the first several years of my journey that much more stressful and difficult, and I had to learn that time is actually on our side. Take all the time you need to improve your craft and get your writing skills publication ready—your future self and readers will thank you. Great advice. And for what it's worth, I think you're the youngest author we've had on Wednesday Debut Interview thus far! And, just for fun, which other YA hero/heroine do you think your main character Kora would want to invite over for dinner? This is *such* a fun question! A lot of my favorite heroes are thieves, for some reason, and Kora would not invite them over, but I think she’d quite enjoy Nikolai Lantsov’s company. They could talk politics, and his easygoing personality would be a refreshing change for her. 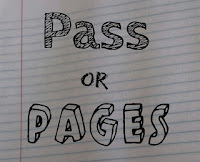 Pass Or Pages MARCH Entry Form! 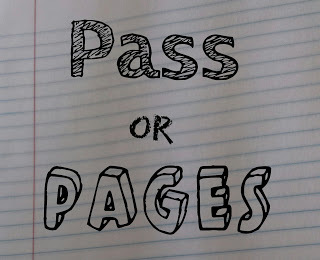 We are now accepting entries for March's PASS OR PAGES contest! Check out the full rules and list of participating agents HERE! 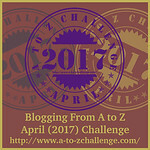 Remember, this month's contest is ONLY for authors of contemporary YA novels! Contemporary novels have no speculative, sci-fi, or fantasy elements; they deal with the struggles faced by people in our time (or close to it; Eleanor & Park is contemporary YA even though it is set in the 80s). The entry window is closed! Many thanks to all who entered and participated! 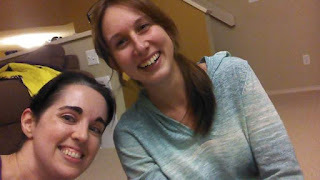 In addition to #OABOOKCLUB, which is reading EMMA by JANE AUSTEN this month, I also sometimes take part in a local meet-up to have dessert and talk literature with some lovely ladies. 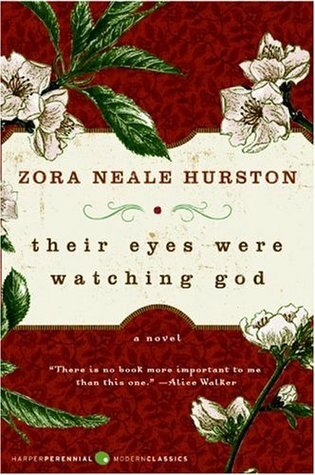 Last month we read THEIR EYES WERE WATCHING GOD by ZORA NEALE HURSTON. It's an amazing book, and I want to talk about what makes it great, what made Alice Walker tromp through an old, snake-infested cemetery looking for the author's unmarked gravestone so she could replace it with a decent memorial, and what made some old, out-of-print novel make a comeback so many years after the author's death. Reading Zora Hurston's book was a rich cultural experience for me, one that made me laugh and cry with the people. It was culturally rich because she put so much of her own cultural heritage into it. Parts of it even seem autobiographical. For instance, there's a line where one of the main characters jokes that Janie's greatest sin is taking a few years off her age, and that never hurt anybody. This little line has more meaning when you realize that Zora Hurston herself took ten years off her life at the age of 26 so she could go back to high school. She never added those years back on, but from thence forth was ten years younger than herself. You can imagine that the maturity she took with her into her education gave a dawn-light to every master and principle she studied, and made her appreciate the impact she could have on the world through writing. "Then you must tell 'em dat love ain't somethin' lak uh grindstone dat's de same thing everywhere and do de same thing tuh everything it touch. Love is lak de sea. It's uh movin' thing, but still and all, it takes its shape from de shore it meets, and it's different with every shore." Part of it is the way the characters interact with one another in the community, mostly around the store porch where gossip, philosophical debate, and fighting all shape the relationships and thus the society in which Janie lives. When she's allowed to partake in these shaping conversations vs. when she feels silenced by a mayor-husband, that makes all the difference in Janie's happiness and sense of purpose. In the beginning, it's the silly stories and this, for me, alien culture that keep the book from dragging during a time of Janie's life when she's really not allowed to be all that interesting. The ripening wisdom she attains, even through the suffocating ages of oppression she chooses to endure, turns her into someone you can't help but love. It's in the poetry of the book, foolish toward the beginning, and then wise toward the end, that you see Janie's character develop best. "She didn't read books so she didn't know that she was the world and the heavens boiled down to a drop." Race was naturally woven through the story, but the people were just people. They could grow or stagnate according to their own choices. While there were commentaries from different characters on race and racial divisions, the characters themselves were drawn as simply human- all of them. You could feel the regret in each character when he or she acted against conscience. You could see the very human justification happening in their minds and hearts, and occasionally one or another would choose to change despite his self-justification. A triumph of humanity! The most tragic character, in my view, was the one who wouldn't be changed. I won't give it away here, but Janie laments at the end of his life that he wanted to change the world but wouldn't have the world change him. Each story surprised me with its genuine quality, no matter how bizarre (vulture parson at a carcass funeral). There's a bizarre story about a mule carcass being dragged out of town ceremoniously, which ends with vultures presiding over their own sort of ceremony, complete with a vulture parson who does an investigation of the carcass before every other vulture can partake. As silly as this all sounds, it has a poetic aspect in the writing of Zora Hurston, and it makes you feel it all really happened. I was tickled by the personalities brushing up against each other, for good or ill. What really made the stories was the way the people reacted to one another, like the lazy townsfolk who greet Janie's second husband with surprise when he asks to see their mayor. They hadn't even gotten up to thinking about electing a mayor, much less imagining they'd be allotted a post office by the government for their little not-quite-a-town. Janie's and Jody's coming to Eatonville flips the town upside down, or right-side up! And while many of the people respond gratefully, others are jealous and petty from the start. Later on when Janie has completely different adventures with her third husband and she's fully invested in her life, she doesn't seem as affected by the foibles of the other characters. That's part of her later-life wisdom, to let everyone be who they are. It's in this part of the book that I really started to enjoy myself and let the lessons of human weakness and human strength and human connection just sink into my soul. Most of all, the poetry at certain parts elevated my spirit. I felt improved for having read it. Beautiful language is only half of poetry. The other half is depth of meaning. Zora Neale Hurston is a true poet. "There is a basin in the mind where words float around on thought and thought on sound and sight. Then there is a depth of thought untouched by words, and deeper still a gulf of formless feelings untouched by thought." "Her old thoughts were going to come in handy now, but new words would have to be made and said to fit them." So, to sum up, WHAT MAKES A BOOK GREAT? What do you think it is that makes a book truly great? For more of the story of Alice Walker and the cemetery or Zora Hurston and the missing ten years on her age, check out the book from the library and read the forewords and afterwords.